Private Customers- Had a car accident? We always welcome enquiries for accident repair from private customers and promise to advise accurately what the cost of any repair will be. No appointment is necessary, you are welcome to call in and see either Graham, Calum or Claire for prices. If you require an insurance estimate for your insurance company or for a third party, we can complete a free full appraisal and quotation forms with digital photo's and directly email you and the insurance company. We offer high quality repairs at value for money prices and with our flexible opening hours you can be sure that your request can be carried out with minimum inconvenience to you. We will often drop our customers off at work (or to shop) in town or on Pride Park when they bring their car to us for repairs. Please see below what a few of our private customers said about our service recently which is important information for you because recommendations are key to our business. "Was nervous to pick up my car from @AccidentRepairs, but seriously impressed. If you can't tell where the damage was, its a good thing, brilliant!" 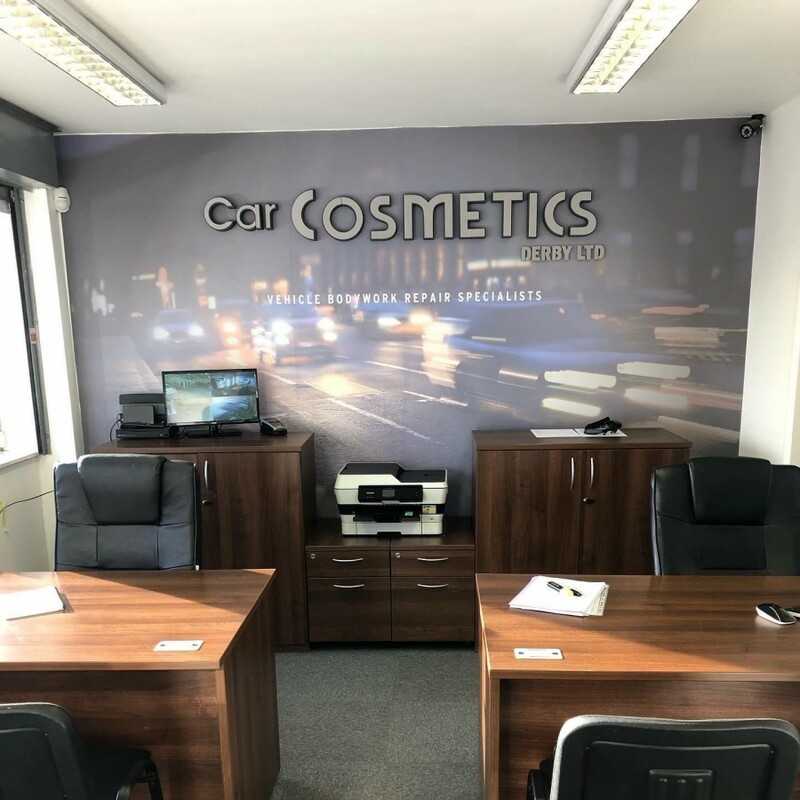 "This is the best place for car body repairs, they did a brilliant job on my car, I would recommend to anyone, fab job"
"Fabulous job on my bimmer - on time, within budget and great quality"
"Graham dropped my daughter and I back at home in the morning and then picked us up later in the day to collect my car. This really helped us out and the repair was great, it was only a scuffed bumper but I wanted the car to look right"
"I will definately recommend you and will be coming back with my wife's car for you to look at next week because I am really happy with the repair you have done on mine"
If your have any feedback or comments about work you have had done with us please let us know by posting on our FaceBook page and we can add to this page or if for any reason you are not 100% satisfied please call us on 01332 205502. Please call in to meet the team who can help with any questions or a free estimate for repair. If you want to call us in advance to let us know you are coming we can ensure someone is available for you.